“Why Business Matters to God” is addressed to Christians. Jeff Van Duzer, now Provost of Seattle Pacific University and formerly Dean of its School of Business and Economics, suggests that Christians in business “have often been made to feel like second-class citizens in God’s kingdom” (page 9). 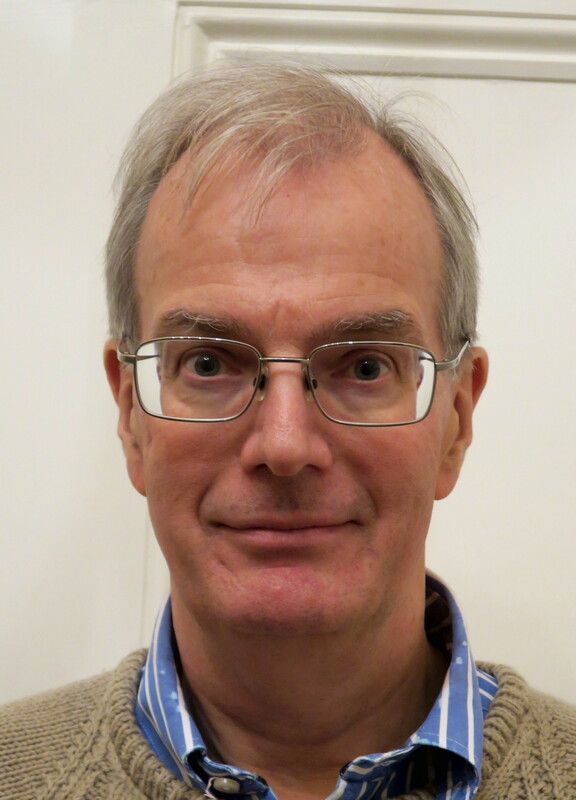 His aim is to counter the attitudes that underlie this by affirming the intrinsic value of business work “as work full of meaning and importance to God”, whilst at the same time challenging what he describes as the “dominant business paradigm of the day” (page 9). The result is an excellent, well-argued and thought provoking book that should be read by all Christians engaged in business. Van Duzer undertakes his task by using a theological framework, considering in successive chapters the implications for business of the biblical accounts of creation, fall, redemption and consummation. From the creation story, he concludes that the material world matters to God, that human beings are called to steward God’s creation and that we are made to work (i.e. that work is not a punishment or a necessary evil). He notes that society has many institutions (e.g. families, churches and governmental bodies) and asks “which aspects of the creation mandate are best suited for business to handle?” (page 41). He points to the role of business in the creation of wealth and concludes that the intrinsic purposes of business are “to provide the community with goods and services that will enable it to flourish, and … to provide opportunities for meaningful work that will allow employees to express their God-given creativity” (page 42). At this point, the reader may feel that the account of business is too rosy but this issue is squarely addressed in the next chapter, which considers the implications of the fall. Here Van Duzer parts company with the more extreme free market enthusiasts (both Christian and non-Christian) by stressing that “the market will not usher in the kingdom of God” (page 75) and suggesting that the market mechanism is an aspect of common grace that mitigates some of the consequences of the fall. He stresses that we cannot “equate market forces with God’s perfect will” (page 79). Having done this, Van Duzer reverses the logical theological order and leaps on to consider what the biblical account of ultimate salvation (“consummation”) can teach us that is of relevance to business. In doing so, he heads into stormy theological waters as he assesses the relative merits of adoptionism and annihilationism as an explanation of how God’s new heaven and new earth will be inaugurated. He sides with the “cautious adopters” (page 94) but those who don’t take this view will be pleased to hear that it is not central to his argument and he acknowledges that “any conclusions we may reach must be held lightly” (page 83). This result is that this part of his analysis is less fruitful than other parts of it. He next considers redemption and suggests that business must “concern itself with redemptive as well as creative work” (page 114), whilst accepting that it is operating within the “messy middle” (page 118). In this context, he rejects both the cynicism of those who suggest that “Business ethics is an oxymoron” and the optimism of those who argue that “Good ethics is good business” in the sense that there will always be a bottom line benefit for those practicing good ethics. Van Duzer recognises that our attitude to business will turn to a considerable extent on our view of how Christians should engage with the world (what he calls our “posture of engagement”) and also upon our attitude to institutions of all kinds in the modern world. He devotes an “excursus” to each of these issues, of which the first is particularly helpful. It adopts Niebuhr’s typology (“Christ against culture”, “Christ of culture”, “Christ above culture”, “Christ and culture in paradox” and “Christ the transformer of culture”) and demonstrates how our answers to several key theological questions are likely to determine which type of cultural engagement we adopt and, specifically, our view of the role of business. The final quarter of the book is less well structured than it might have been and parts of it would have better merged with the earlier chapters. None-the-less, it contains some worthwhile discussions of important issues such as business sustainability (in the broad sense) and, most importantly, the role of profit and enhancing shareholder value. Van Druzer recognises the essential instrumental role of profit but denies it any greater significance, specifically rejects the notion that the maximisation of profit or shareholder value is a primary goal of a business. Although published under the IVP Academic banner, this is not an academic work. It does not interact extensively with other literature and it has no bibliography, although it makes good use of footnotes that may suggest further reading. It is a short book and could not possible consider all of the angles on its subject. None-the-less, it would have been helpful had Van Duzer considered questions that arise from his dethroning of profit and shareholder value: Might this result in a loss of focus on efficiency and thus reduce wealth creation? How can managers be rendered accountable for the delivery of goals that cannot be quantified or otherwise clearly measured? If shareholders in a public company appoint and remove them, will the directors not always focus on the maximisation of shareholder value? Who might enforce any broader directors’ duties? Van Duzer is a lawyer by background and his views on these issues would be interesting. Despite the final chapter’s focus on “making it real”, many readers may be left wondering how it is possible to translate Van Duzer’s vision of business into practice in a secular Western business context. This is a significant issue. However, the purpose of this book is to provide a Christian conceptual framework for business not to analyse in detail its implications in relation to day to day management. Addressing these implications would require another book and perhaps the only significant criticism that can be levelled at Van Duzer is that he hasn’t yet written it! 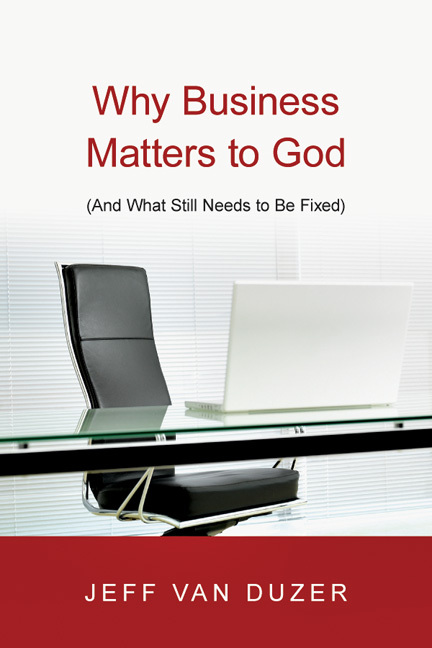 “Why Business Matters to God” was published in 2010 by InterVarsity Press (ISBN 10: 0830838880). 201pp.